Coffee Works Too is overly pleased to announce and introduce the newest addition to their agendas: Coffee Works Too: After Hours Showcases! Coffee Works Too - Brewed From the Heart is a locally owned Coffee Shop located in Voorhees, New Jersey. Coffee Works Too is an innovative coffee roaster and internet cafe that has been a focal point in the southern New Jersey region since 1998. They offer the stimulating effects of coffee and tea and a large variety of food options and baked goods, served in a relaxed comfortable atmosphere. But, not only is it JUST your local coffee shop, Coffee Works has different, unique, and exciting events happening almost every night. There is an open mic night as well as karaoke night held once a week, along with wine nights, and performances from local artist of all varieties. Coffee Works After Hours is a series of musical performances happening very frequently on both Thursdays and Fridays. The lineups will consist of three to five full band lineups: yes! full bands! Admission for these events will be $5 at the door, and the showcases will begin at 8pm. The wonderful staff at Coffee Works will still be providing coffee, tea, and speciality beverages throughout the events, but the grill will not be open. All of these events are BYOB. These showcases are sure to appeal to those of all ages and all music preferences: There is most definitely something for anyone to enjoy!! 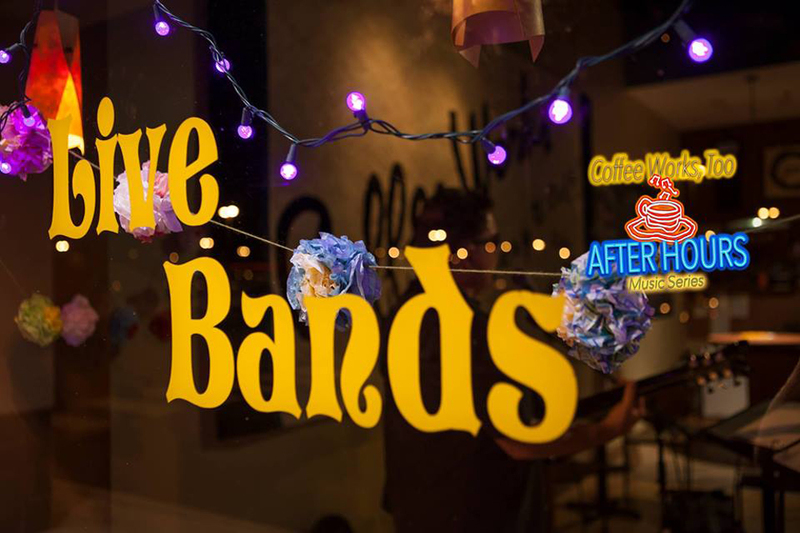 Your favorite coffee shop transforms into an intimate music venue for local and touring artists. 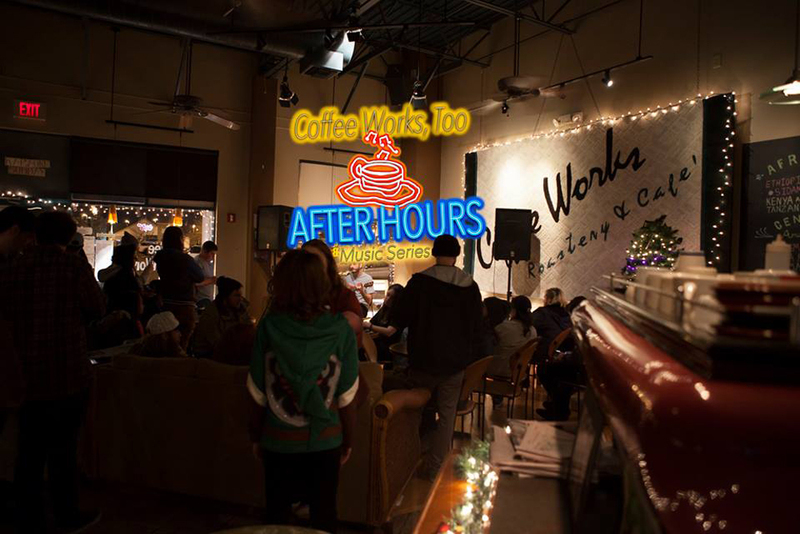 Coffee Works: After Hours Debut showcases are taking place this Thursday and Friday, January 26th and 27th. 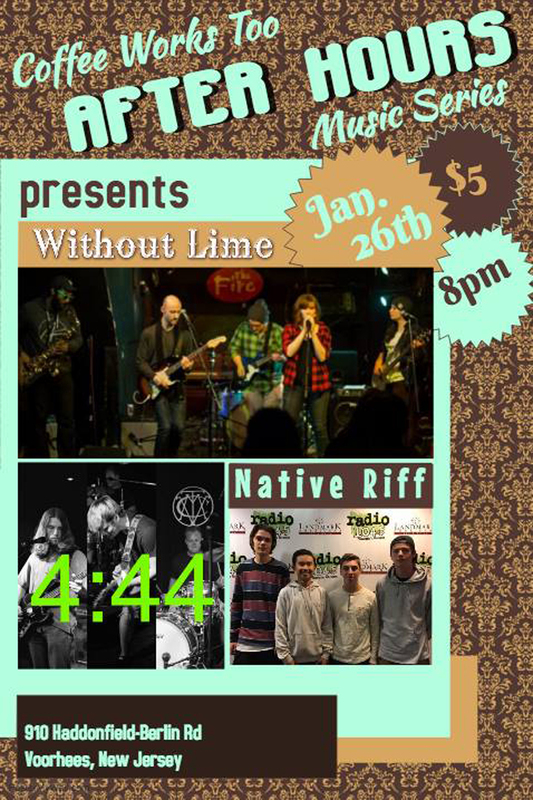 Thursday’s lineup: Without Lime, 4:44, and Native Riff. 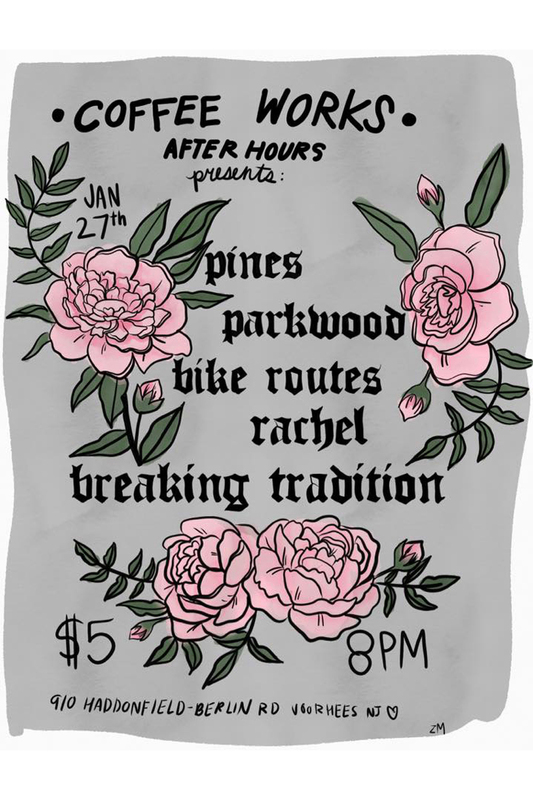 Friday’s lineup: Breaking Tradition, Rachel, Bike Routes, Parkwood, and Pines.